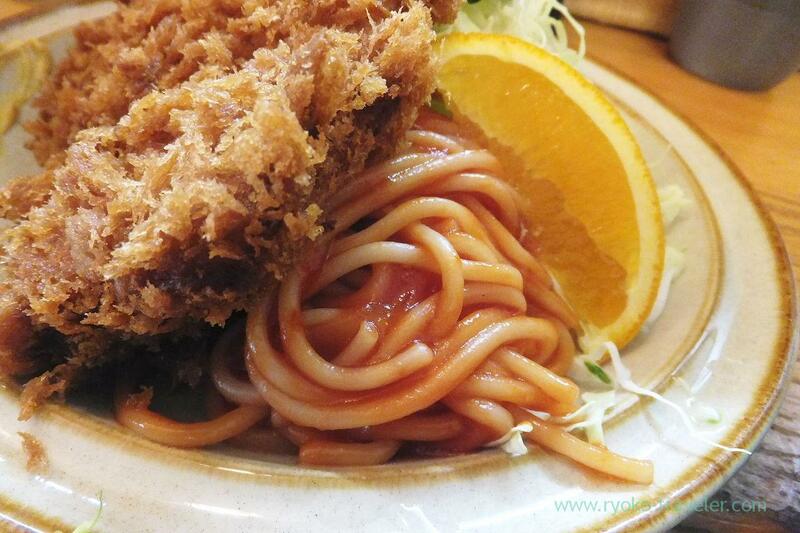 There’s long-established tonkatsu restaurant in Tsukiji area. The restaurant’s name is Katsuhei. 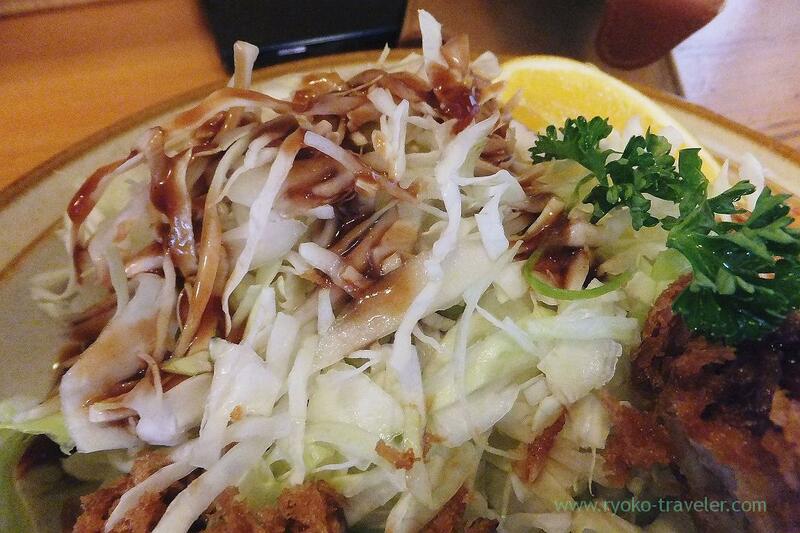 Katsuhei has started their business in 1983 (38th year of Showa period). 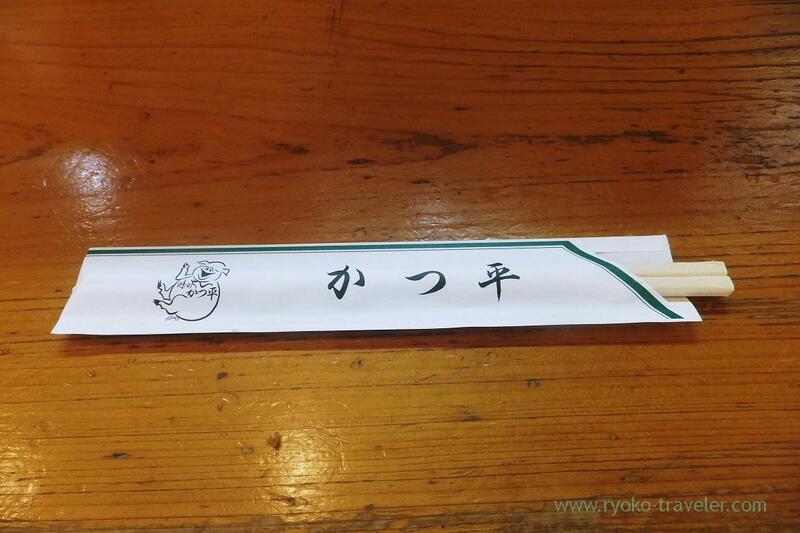 Syotaro Ikenami used to be a regular customer of there. 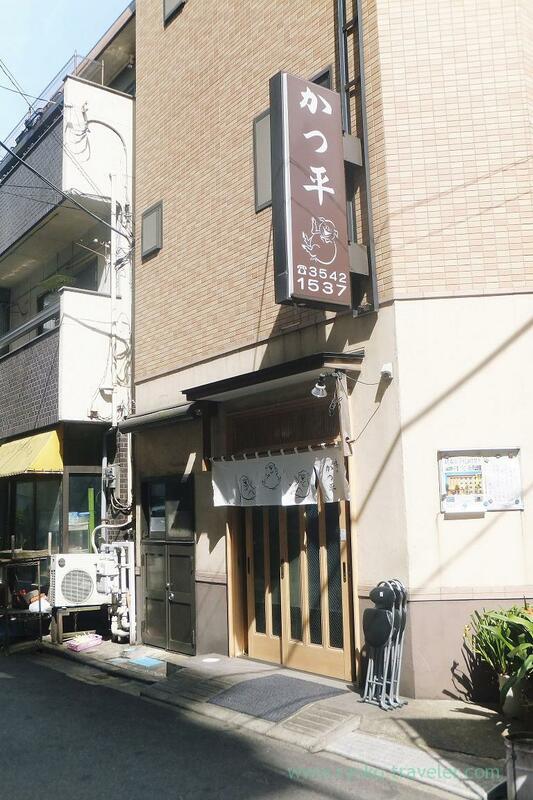 Katsuhei is very close to Tsukiji Market, but it’s along calm street. Katsuhei is not large restaurant. They have about five counter seats and some tables only. They don’t accept reservation. Especially many people who have wide bodies and work around this area wait in front of the entrance. So, if you want to go there at lunchtime, I recommend you go to there before the opening time or past 1:40 p.m. They are open until 2:30 p.m. There seems to be no English menus, but don’t worry. There are only a few foods. Cooking tonkatsu takes much time. But if you are seated at the counter seats in front of the kitchen, you can see sound and smell tonkatsu cooked 🙂 I always sit down on this seat because I go there by myself. I wasn’t boring at all ! Their No.1 food is it. Of course, Syotaro Ikenami loved it, too. This have quite fat So, the waitress said to me, “It’s a quite fatty part of meat. Is that right ?”. Certainly, my friend can’t eat it up. But I wanted to eat fatty tonkatsu that day. So, there was no problem. Its coating was so crisp but the meat inside had lots of meat juice ! Mustard is put on the dish, and there’s salt, soy sauce, shichimi pepper, Worcester sauce and so forth on each tables. Fatty tonkatsu go with mustard well 🙂 I always need more mustard. Napolitan and sliced orange gathering on the plate. I felt Showa period ! The waitress asked me of my rice’s size when I ordered it. I answered smaller is good for me. That’s right decision because so much shredded cabbage was hidden. Healthy. Fillet is not fatty part. So I wanted to eat it, too. 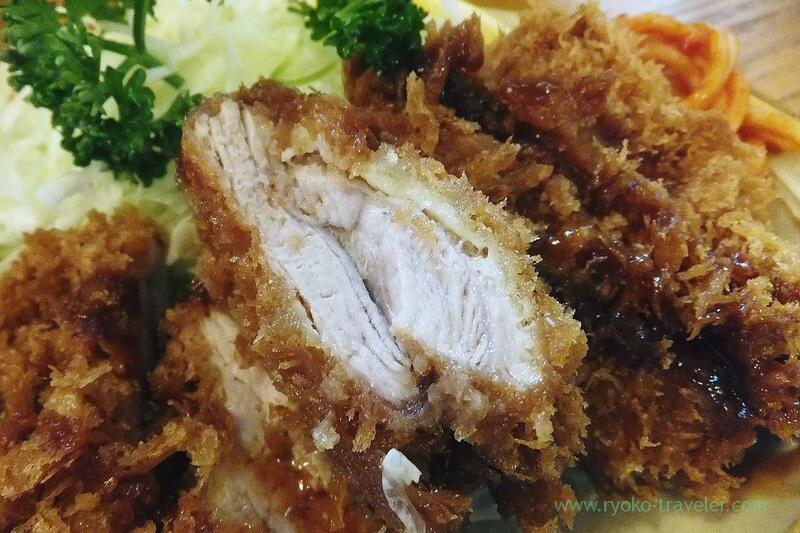 The section of the tonkatsu. 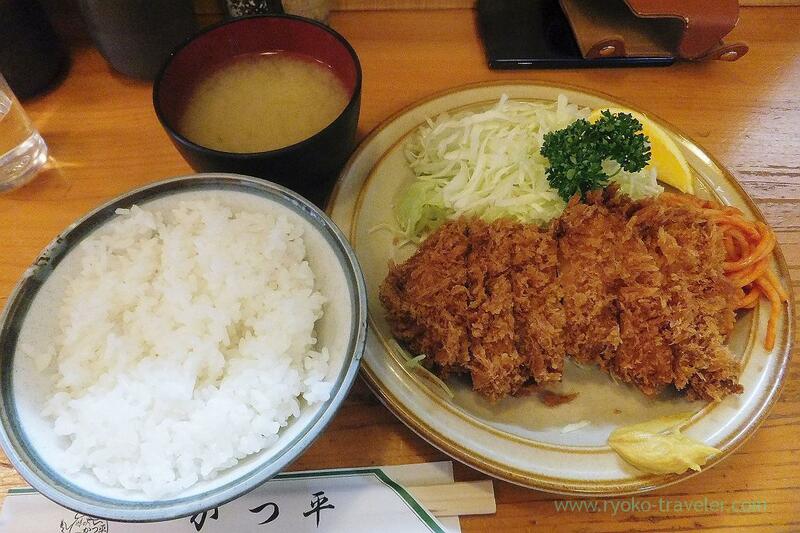 It was enough juicy and delicious, but I like more fatty tonkatsu. Between sirloin and fillet of Katsuhei’s is the best :p So I recommend sirloin tonkatsu at this shop all the same if you like fatty parts of meat. Shredded cabbage go with Worcester sauce. 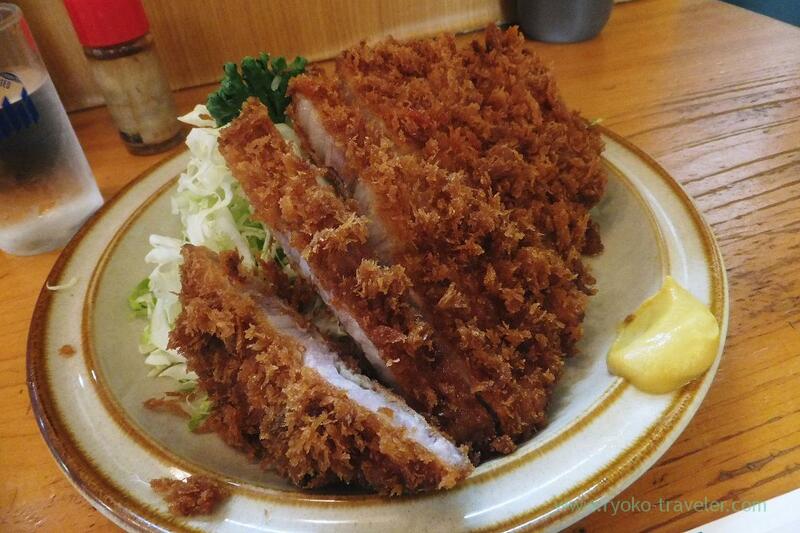 This shop serves tonkatsu using better pork at inexpensive price. 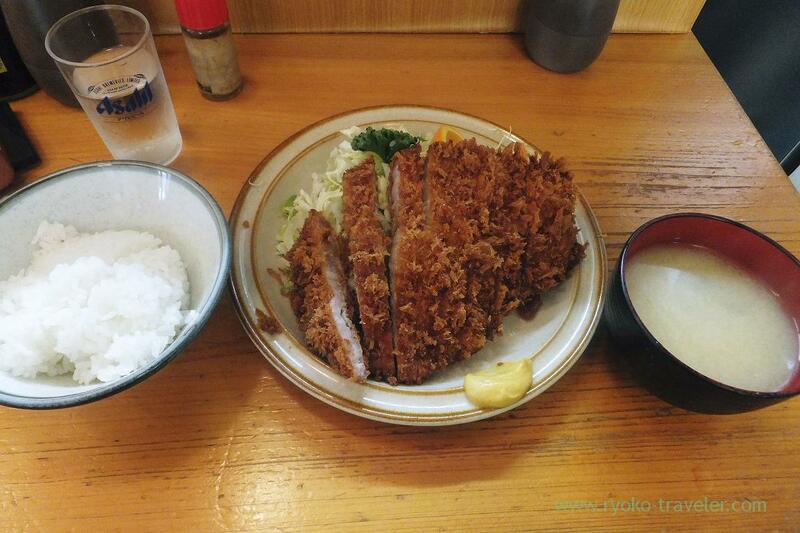 So if you want to eat great tonkatsu with more money, I recommend Narikura in Takadanobaba. 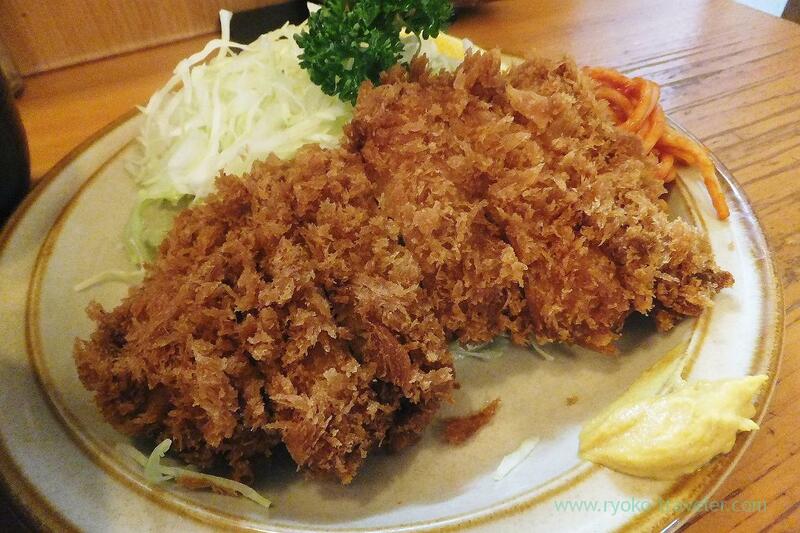 I think they are No.1 Tonkatsu restaurant in Tokyo now ! Open / 11:30 a.m. – 2:30 p.m. , 5 p.m. – 9 p.m.